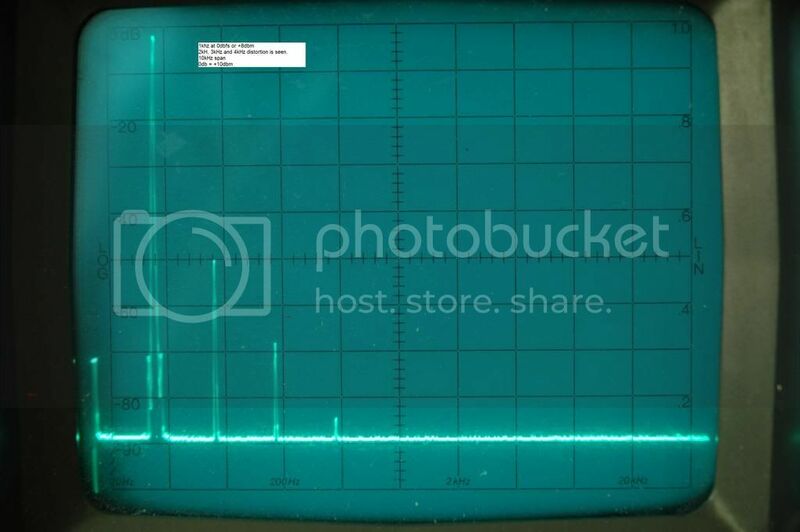 I have measured the D1V3 for 10Hz to 10kHz using an old spectrum analyzer and attached is the photo of the results. 1. Input 1kHz at 0dbfs and you can see the 2k, 3k and 4k Hz harmonics. Vertical scale is 10db/div and horizontal is 1kHz/Div. 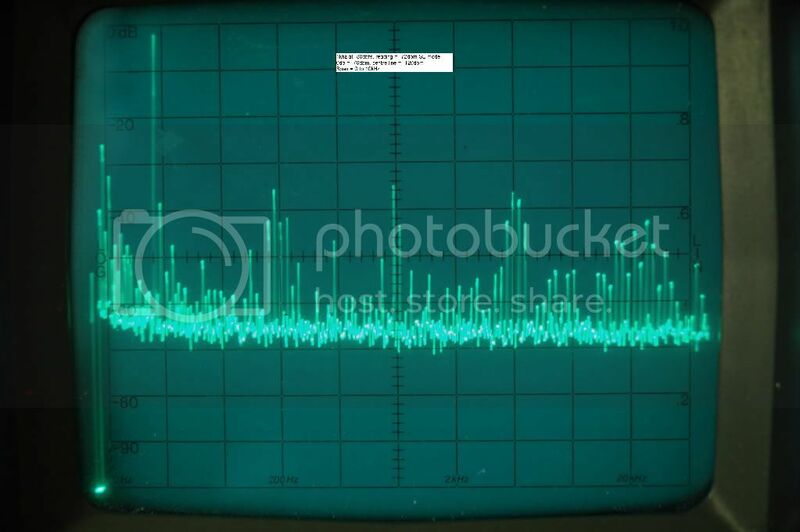 The second harmonic 2kHz is only 48db below the 1khz signal. Thus the IV is very rich in 2nd harmonic distortion. Top 0db scale on screen = +10dbm. 2. Input 1kHz signal at -80dbfs and you can see there are lot of noises but normally at about -110db or lower. Using a Meguro noise meter give the noise rms valuse at about -110dbV and thus it is very much same result. Top 0db scale on screen = -70dbm. You can post these pictures in your website as I have agreed to update. I''ve got your measuring data and will post it after office at night. Thanks a lot for your responsibility for each diyers bought your design. measure? And what conclusion you think? Thank you ^_^!! For rich 2nd harmonic means sound smooth like single ended valve amplifier. Thus is why we do not feel the sound harsh from the DAC. The distortion do not measure very good at high output level but improve a bit at -20dbfs level. The cause may be due to the non-linearity of the Jfet at input stage. For the noise, the level is quite low and most of the frequencies are below -110dbm to -120dbm level. There is some higher noise level at -100dbm for 50Hz and 100Hz which may be due to hum and insufficient supply regulation. It could be improve by separate the transformer from existing casing. But for existing level, we already cannot hear any hum!